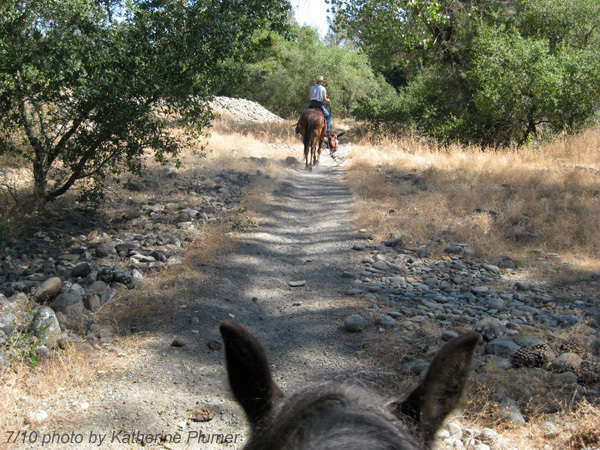 I went on a nice couple-hour trail ride this morning with my friend Cheryl. 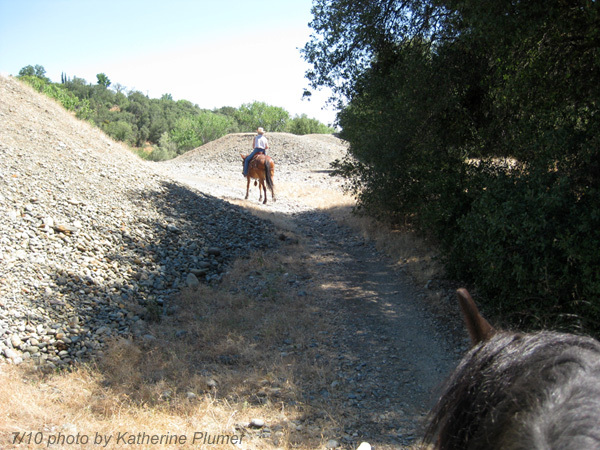 It was a little toasty by the end, but much of the ride went through shady areas, so it was nice. Shylah was great. She mostly poked along bringing up the rear as always. She doesn't mind being last, but I think she minds my constantly asking her to trot and keep up. 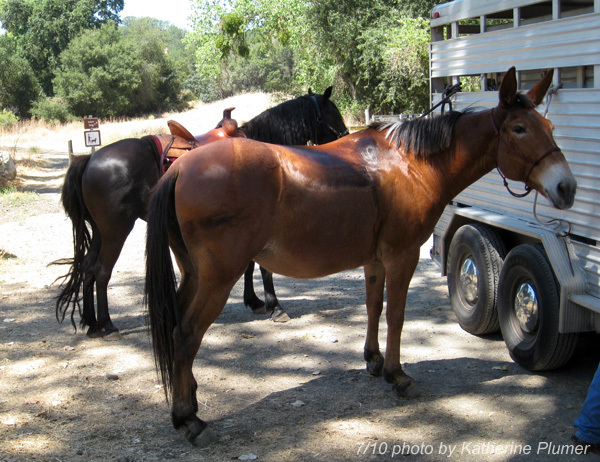 She never cares if the rider in front goes out of sight. But, as I've discovered a few times, I think she's a great deal happier in the lead because SHE gets to set the pace and not have to struggle to keep up with everyone else! So she led the way for a good part of the ride too. She's a good little trail horse once you come to terms with the fact that she moves through life at a slower speed than most. ;-) She's such a dork though, she's got this thing about walking next to the trail, not on it. Given free rein, she's always go just to one side or the other. It can be sort of annoying, if a trail has been mostly cleared of rocks, and the rocks are now alongside the trail, she'll get into all that mess and get this peeved expression like "this is too hard, I don't like this" meanwhile I'm trying to steer her into the CLEAR trail and thinking "well dummy, stay on the trail and it would be much easier!" Wondering who that cute mule is? It's Sara!!!!! 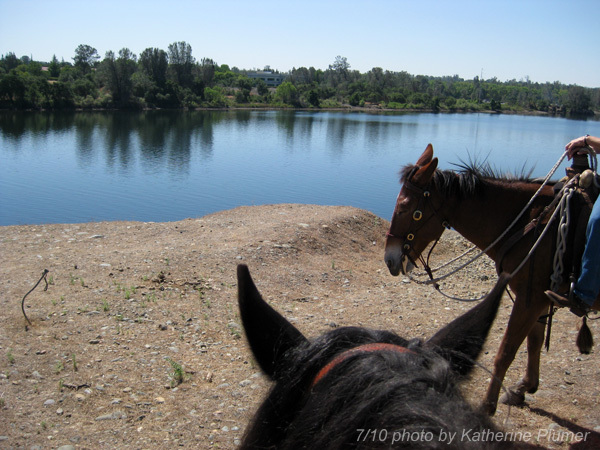 :-) It was great to hit the trail with Sara, she's just an awesome animal and totally unfazed by the world. She and Shylah even got along pretty well! Shylah can be kind of unpleasant with other critters, but they did well. I miss my little Arabian mare.